Just showing and telling .. I loved making this for the newborn in my extended family. 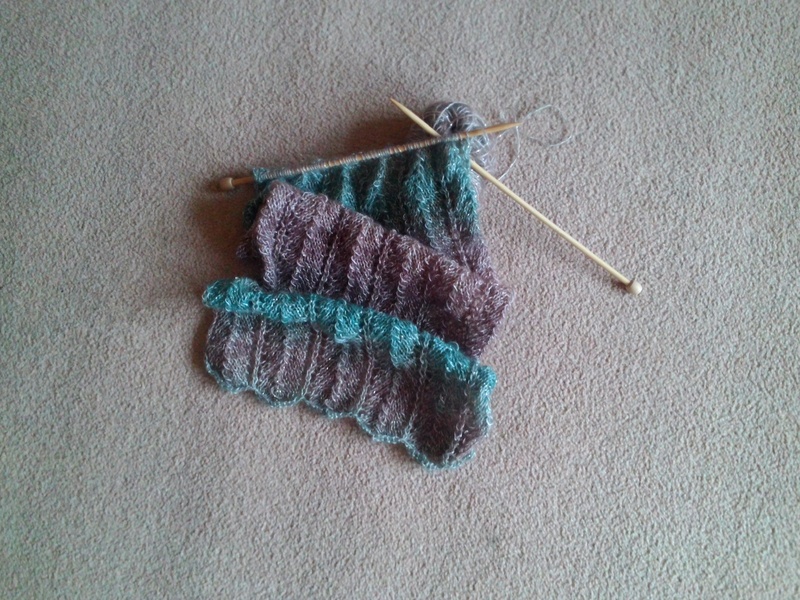 It’s the third time I’ve used this pattern, Sirdar 1817. I love an easy knit sometimes. Do you have favourite baby patterns you’ve made several times? This entry was posted in Uncategorized and tagged bootee, knit. Oh, my goodness! How cute is that??? I would make that sweater for every baby I know. Heck, I would even have another baby just to knit one!! Thank you ReginaMary – lovely thought! So cute. I love Sirdar patterns too. Bless her – she looks just like a baby doll. I know what you mean about handmade gifts being appreciated. I only ever make for people now – unasked – if I am sure they will be. She does, I know, but she is already growing and looking less so. It’s not worth wasting your valuable time if you have an inkling the gift won’t be appreciated, a lesson learned a while ago when someone said to me in a very sarcastic voice ‘oh, lovely, anotherrrr handmade card’.